Rio and Mo Bot are our 2 remaining kittens from Mum, Olympia. The family have been with one of our fosterers since they came into the branch and have been a joy to look after, but they time has come for them to find their new forever homes. 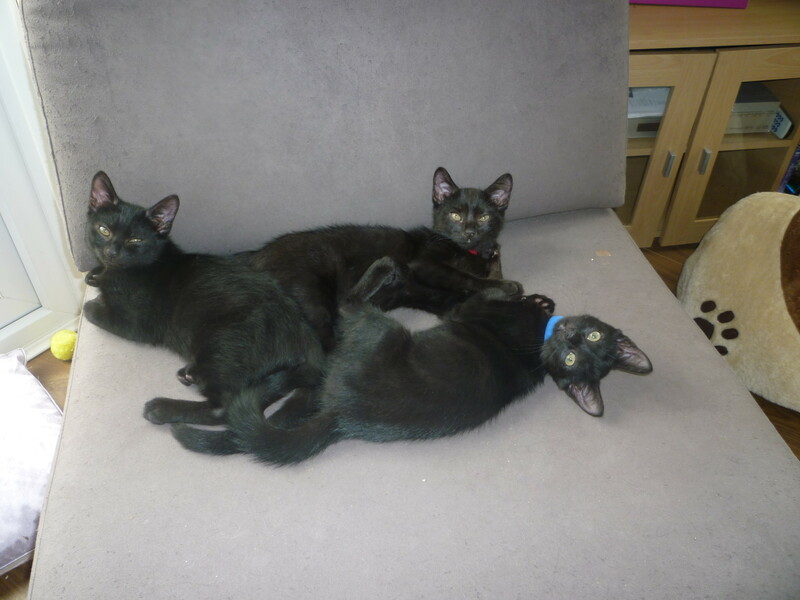 They behave like normal kittens and will get into lots of mischief but also love lots of fuss. Both are fully housetrained. If you would like to offer this adorable pair a home please give us a call.